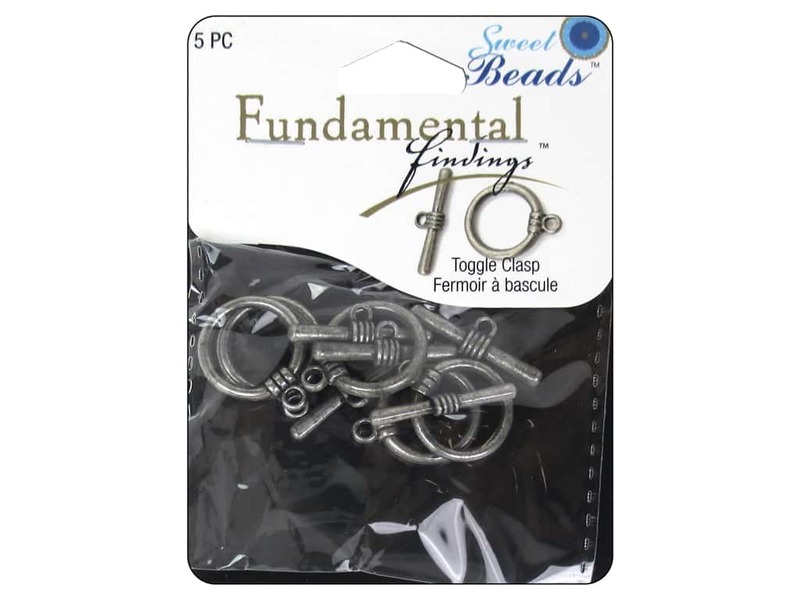 Description: Sweet Beads Fundamental Finding Toggle clasps are an easy-to-fasten, secure way to finish your necklace or bracelet. They are so attractive you'll want to wear them up front so people can see them. Attach a toggle bar to one end of your jewelry and a toggle ring to the other. Each set has 5 rings and 5 bars with a simple, plain design. 5/8 inch (17 mm). Pewter. 5 pc.